We, as creatures of motivation, feel comfortable withdrawing from the very places we seek it. For some, that’s a spouse. For some, it’s a family member, friend, confidante…someone trustworthy and/or anointed to ensure we’re drawing from a well of peace, and not of envy. Not everyone is equipped to fund the encouragement or motivation we need. In fact, I’m confident that there’re people that you’ve struggled to hold on to! People that aren’t present to give…but present to take from you! Reassess the people around you. 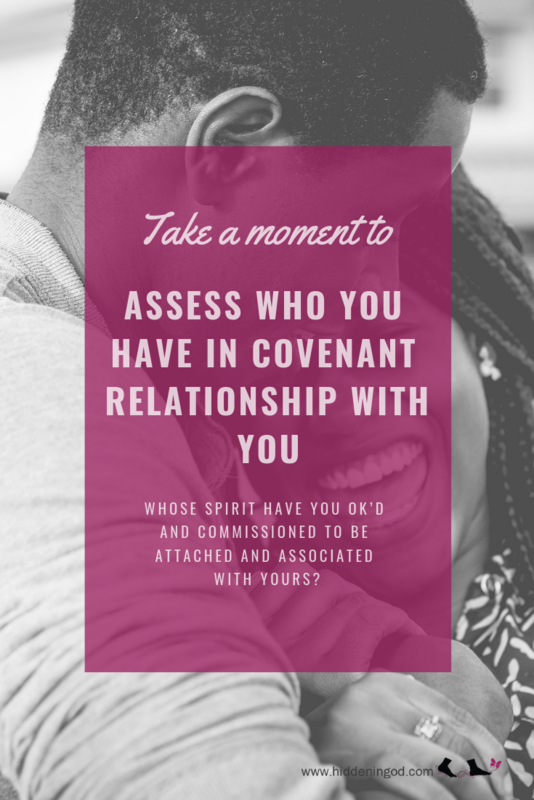 Take a moment to consider with whom you are in covenant relationships. Who have you declared as your allies? Who have you determined to be the recipient of your overflow? Whose spirit have you accepted and commissioned to be attached and associated with yours? If birds of a feather flock together…to which flock do you belong? This is not to suggest that all the people around you are bad…but you SHOULD know who’s around you, and be honest about who they really are, why they are where they are, and how their actions are perceived. 2 Chronicles 23:1-2 And in the seventh year Jehoiada strengthened himself, and took the captains of hundreds, Azariah the son of Jeroham, and Ishmael the son of Jehohanan, and Azariah the son of Obed, and Maaseiah the son of Adaiah, and Elishaphat the son of Zichri, into covenant with him. 2And they went about in Judah, and gathered the Levites out of all the cities of Judah, and the chief of the fathers of Israel, and they came to Jerusalem. We learn that the king died in battle, and the king’s mother killed all his children so she could be queen. (Yes, this happened in the Bible!) The king’s SISTER took the youngest child and hid him in a closet for seven years. Once the time of hiding was over, this verse opens to inform us of the value in the people we bring into our circles. The king strengthens himself by gaining allies. You CANNOT do this alone! You NEED a team! And a team involves working TOGETHER with others. I know you’re strong, independent, got your own, built your own…but God designed this life to be one of inclusion, not exclusion! You have to allow someone to be there for you! You’ve pushed people away, rejected the help of others, and gotten offended at the notion of seeking help from someone else…but you complain about being tired, lonely, and wondering why no one is around you. You CAN’T DO THIS ALONE! Strengthen yourself and gain some allies! After his covenant relationships were solidified, the king went through the city, gathering Levites and chief fathers of Israel. The king networked with the right type of people to accomplish the goal he and his inner circle set out to achieve, knowing you’re only as effective as the network you access. Knowing that the four of them couldn’t do it all, the king networked with people who are anointed, with people of wisdom. You should ALWAYS have access to people who can hear a word from God or people with wisdom that’ve gone through something and survived! If they’ve gone where you want to go, add them to your network! If they’ve achieved what you want to do, then add them to your network! If they have access to things you will need, then add them to your network! Strengthen yourself…then build your network. The king went through Judah to build a network…and then to Jerusalem to establish his throne. 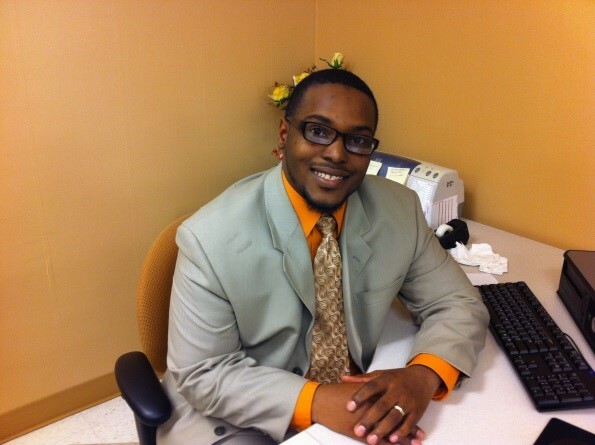 Never stop praising God as you take the necessary steps to establish the plans He gave you! Glorify God every step of the way. Thank Him for what He has done, what He is doing, and what He plans to do through you! Notice these quick thoughts: this is the new king, and his GRANDMOTHER is the one who killed his siblings! And when it’s time to strengthen himself, and build his network to establish his throne…the new king does not include his grandmother. Just because they’re your family doesn’t mean they’re on your side. Joseph dreamed a dream and told his brothers about it. His brothers hated him all the more for it—they tried to kill him and then sold Joseph into slavery. Family does not mean automatic inclusion. Don’t be fooled into thinking your enemy is going to have your back. A peaceful enemy…is still an enemy! Again, assess who’s around you. Take inventory of the actions, plans, goals, and responses of the people around you. You might be shocked to find that there’re some people you labeled wrong…some enemies that are really allies…and some allies who have been destroying you in secret. Know who’s in your circle! Pay attention to their actions and responses. And make sure you’re only pouring into people who are just as invested in your success as you are. Pour into those covenant relationships.